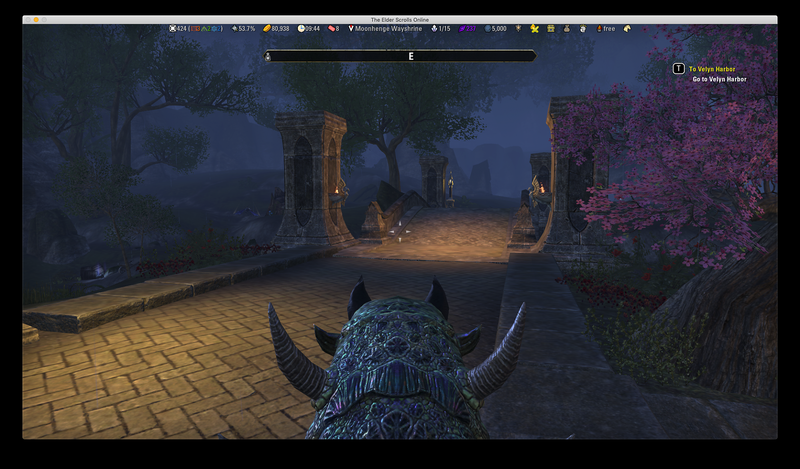 This addon allows players to manipulate the in-game camera, changing its position or forcing first person mode. Hot key can be used to toggle which shoulder the camera hovers over while in third person. Great for thieves. Hot key can be used to toggle centering the camera while in third person, for those of you that dislike the camera being off to the side. The camera can be automatically centered or switched to first person, while in third person, if the player enters combat. The camera will move back to shoulder once combat ends. Lock the camera in first person mode. You can now do many things in first person that used to switch to third person: ride your mount, assassinate people, or even sit in chairs. A hotkey can be assigned to toggle this on and off. 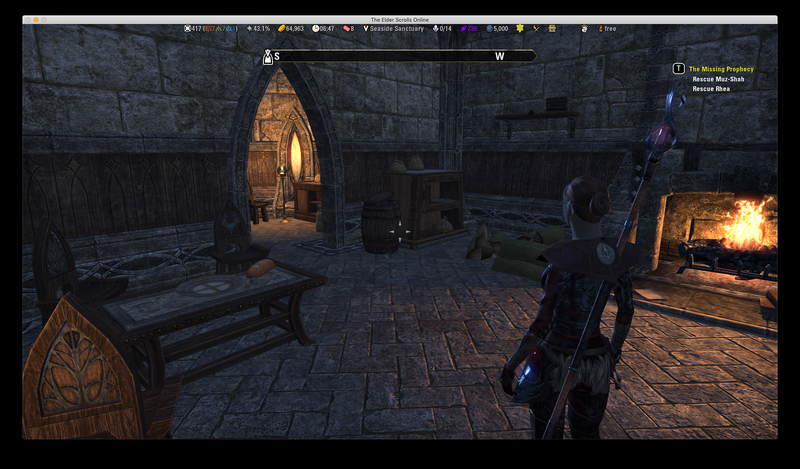 Players can turn off the interaction camera, when crafting, talking to NPCs, using siege weapons, using a dye station, lock picking, and placing/previewing furniture. This will prevent the camera from abruptly zooming in on NPCs, objects, your character, siege weapons, doors, and chests. Works both in first person and third person and the player can choose which events will zoom in and which don't. * New option to switch to first person when entering combat. * New option to switch to third person when becoming a werewolf, even if "ForceFirst Person" setting is enabled. 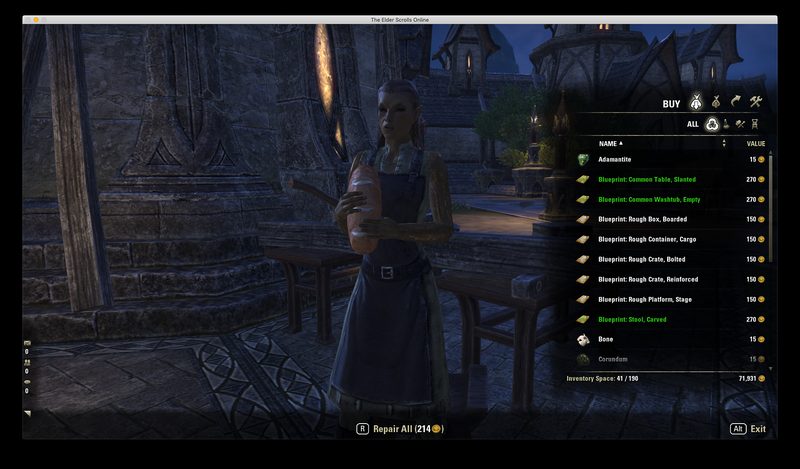 * Players can now turn off the interaction camera, when crafting, talking to NPCs, using siege weapons, using a dye station, lock picking, and placing/previewing furniture. 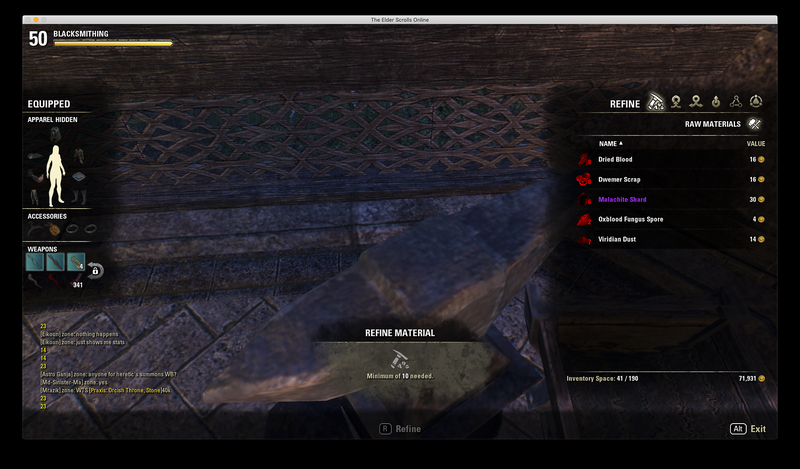 This will prevent the camera from abruptly zooming in on NPCs, objects, your character, siege weapons, doors, and chests. Its works ! the WWolf form -going into 3d view without problem ! I am very appriciate your work mate , thanks ! HI, mate.i am currently without pc computer - will have it from servis about week later - and will give you know )Thanks by the way for that ) Very appreciate ! Last edited by Temsol : 02/07/19 at 10:12 PM. This is more of a request. I've noticed that the Elder Cam is preventing the camera from zooming out and your character turning to face the camera when working with the Outfit station. Which makes it cumbersome to change the outfit or dye it. 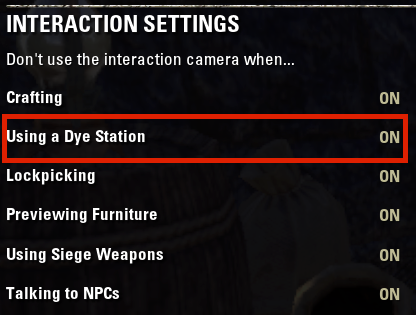 Any chance this could be changed to not affect wh8en interacting with the Outfit Station? There should already be a setting there for that. Is it not working for you? Last edited by Eldrni : 02/02/19 at 05:37 AM. I think i know why. I’ll do some testing. Sorry it’s been a busy weekend with work. I’ll be able to look into it in a day or so. It took forever to find time to work on this, but the new version is finally out. Please let me know how it works, as I have no characters that are currently a werewolf. Yes, please let me know about siege weapons. 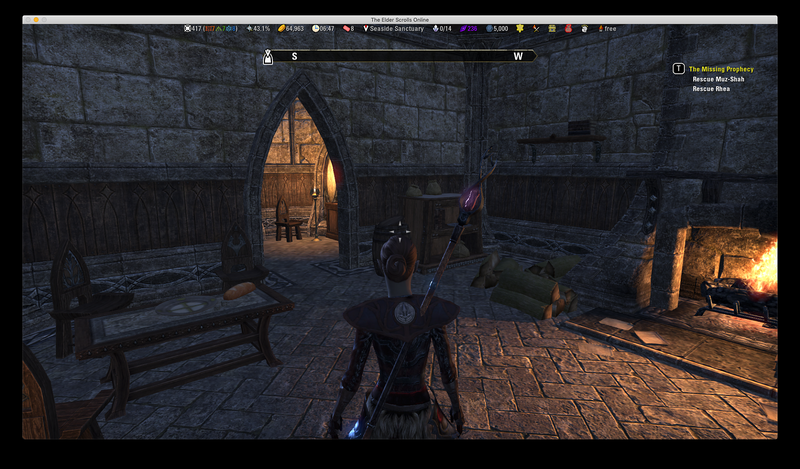 I rarely do Cyrodiil and it would be great to know if there's any massive problems there. I might add an option to automatically drop out of first person when in werewolf form. O , thats good idea , very good as i have to pres first per off every my WW MOMENT ) In BGrounds every second - is importante ) Also , i forgot to check how work first view on siege weapon - cos its always was avaliable only from 3d view. Last edited by Eldrni : 01/17/19 at 02:48 PM.